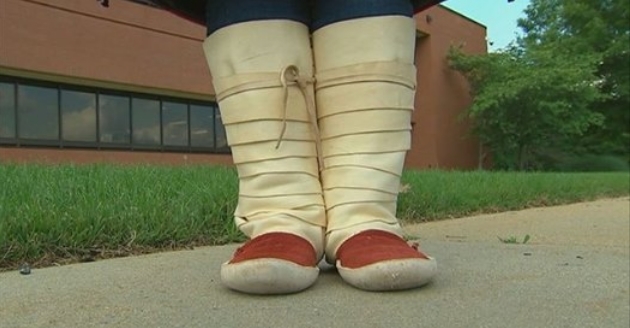 Charles County Public Schools has reversed a high school principal's decision and will allow a student to wear moccasins at her graduation to honor her Native American heritage. On Monday, FOX 5 reported that Dylan McCabe gained approval to wear a ceremonial Navajo dress during graduation, but her request to wear the moccasins was denied. "He only approved the dress because it was not visible, but he didn't approve the leggings and moccasins because they showed," McCabe said. The soon-to-be-graduate said the footwear and leggings have special significance to her as they were the same ones she wore during a four-day coming-of-age ritual when she was 11 years old. McCabe and her mother won their appeal to wear the moccasins after meeting with the assistant superintendent of Charles County Public Schools on Tuesday. O’Malley-Simpson said because of what happened, the school will reevaluate its procedures on how students request exceptions from the graduation dress code, especially for religious or cultural reasons. “I think that any time you go through something that causes attention or controversy, you take a look at how you do things,” she said. Responses to "Native American student wins appeal, allowed to wear moccasins at graduation"